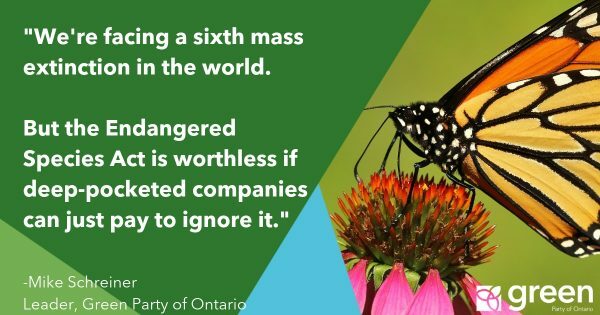 Oshawa, ON – Support for legislation to recall provincial and municipal officials was endorsed by Green Party of Ontario members at their annual convention in Oshawa over the weekend. The Green Party is calling for legislation modeled after British Columbia’s The Recall and Initiative Act. The resolution also calls on the province to provide enabling legislation for municipalities to establish a process for recalling elected officials. British Columbia enacted representative recall in 1995. British Columbians have launched 22 recall efforts but none have led to the recall of an elected member. One representative, Paul Reitsma, resigned in 1998 when it looked like the petition to recall him would have enough signatures to force a recall election.